I was kindly invited* with Southampton Bloggers to attend the opening night of Jersey Boys at The Mayflower Theatre, Southampton. 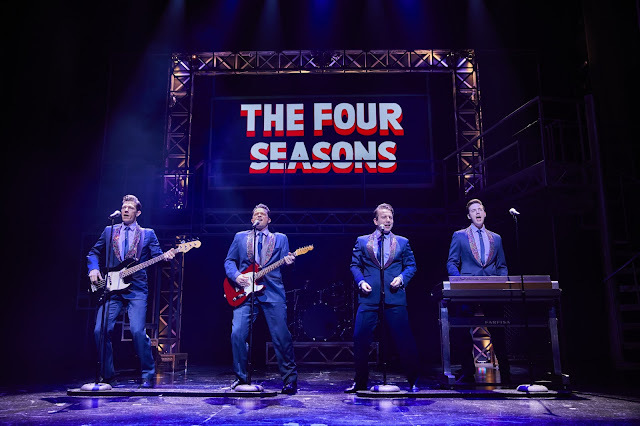 Currently on it's second national tour, Jersey Boys is an award winning musical play based on the lives of the original members of The Four Seasons. 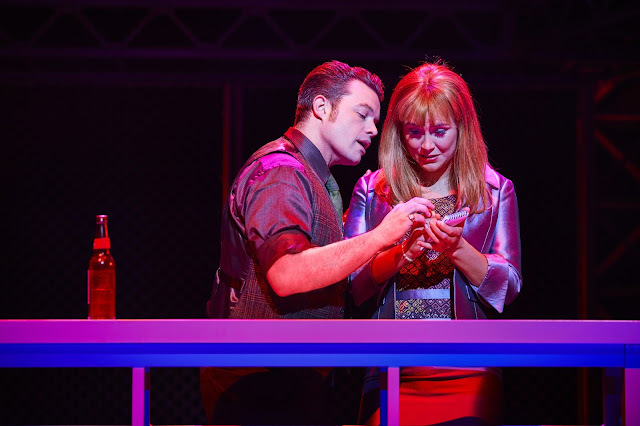 Unlike other recent musicals and stage adaptations, Jersey Boys is based on real events told from the perspective of each of the original members, Frankie Valli, Tommy DeVito, Bob Gaudio and Nick Massi with the play split into four separate seasons. 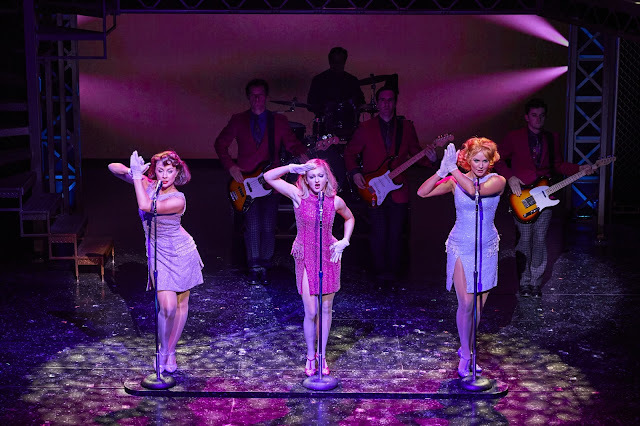 The show is packed full of hits that are instantly recognisable, songs such as December 1963 (Oh What a Night), Big Girls Don't Cry, Sherry and Can't Take My Eyes Off You. I'm sure most people know more Four Season songs than they realise! The vocal talents of Michael Watson to be able to take on the role and distinctive falsetto singing voice of Frankie Valli was outstanding. Simon Bailey who played Tommy De Vito had the tough job of opening the show and setting the scene which he did right from his first line. You instantly knew you were watching a cocksure lovable rogue from New Jersey determined to make good. Declan Egan portrayed a character growing in confidence and Lewis Griffiths probably had the deepest voice and the best one liners in the show (if you've seen the show, you'll understand and appreciate his hotel towel rant!). It's brutally honest at times, showing the ups and downs of success and the drifting apart of the band until at the end, they are shown together once more earning their place in the Rock & Roll Hall of Fame. Knowing that it's based on real accounts make the scene where Frankie's daughter dies so much more heartbreaking. 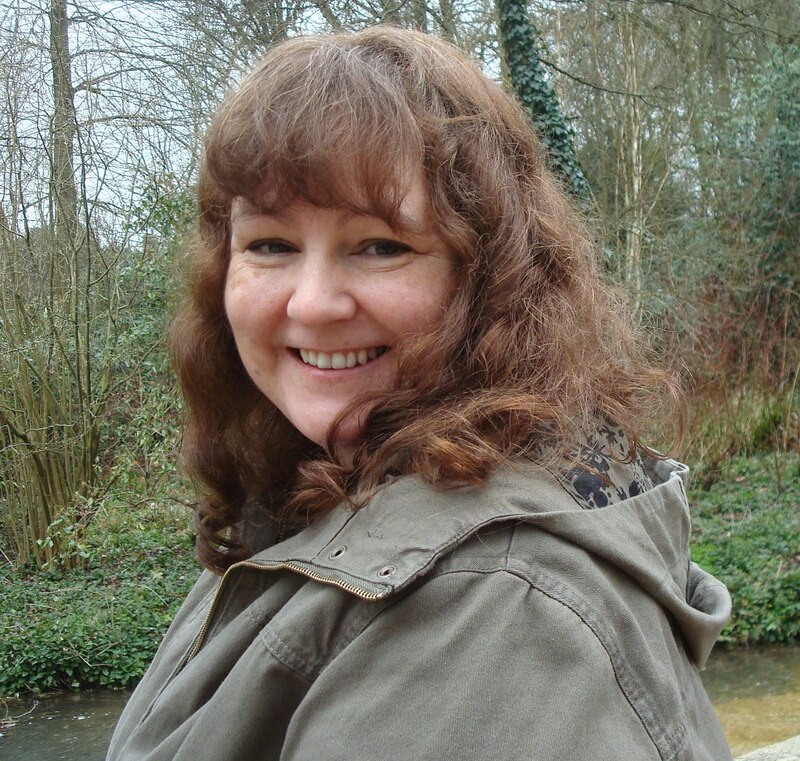 As well as the four main actors, the supporting cast provided just the right level of support and added humour. Mark Heenehan in the scene with the song My Mother's Eyes made everyone chuckle. The level of enthusiasm and energy was 100% from start to finish and the whole cast thoroughly deserved all the applause. 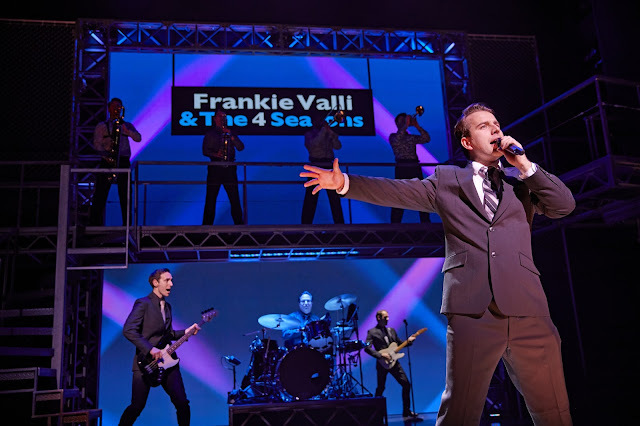 Jersey Boys is playing at The Mayflower Theatre, Southampton 19th to 30th March 2019 and all I can say is....oh what a night!